This article about food plots commonly focuses on the seasons of United States. A Food plot is one of the basics of bowhunting. For deer managers, this can be the toughest yet exciting part of hunting. One must know how to do this trick in order to catch more prey. For the deer hunters, this can be a really great help in order for them to grow some healthy deer and harvest them. Food plotting can be a really hard work especially without having the equipment’s you need. Luckily, some local co-op can provide you all the implements you need. Just give them a call in order for them to reserve you the items you might need. But, lots of question arises. What are the food plots you need before summer heat arrives and what are the do’s and don’ts of feeding a deer? In this article, we will focus mainly on the best food plots you can use to attract bucks. Having the wrong choice of a food plot or simply learning by mistake can be really expensive, so let’s learn from different hunters with experience in food plotting for many years. Here are the answers for the best food plot to plant for this year. Some hunters or any deer manager knows that this plant is one of the hardest food plots to plant. It is really hard to establish, it tends to over-brown whenever the food plotter fails to maintain it. But, it takes hard work to earn success right? A﻿lfalfa was really an excellent forage plant for deer. It would be a perfect choice for a deer manager who has complete equipment and serious or manly enough to plant this kind of food plot in spite of a lot of pressure and hard work needed to grow this type of food plot. So, you still think you’re qualified for this? Then go for it! 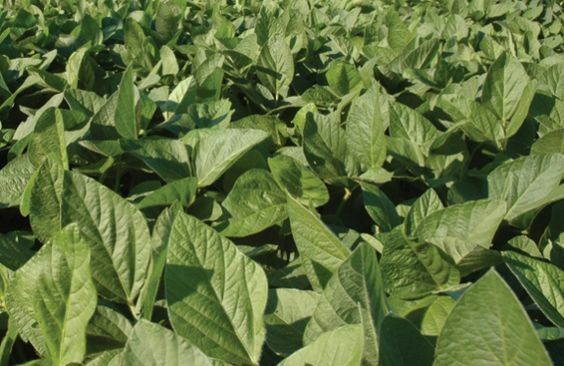 For most hunters, soybeans are considered the best and most picked food plot. If there is an award for the most mentioned food plot, soybeans can win each and every award. 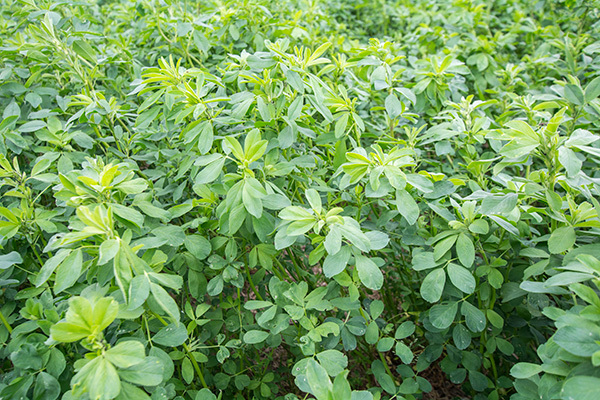 This warm-season annual legume is considered the most preferred food plot for white-tailed deer. Its nutritional content is truly astounding. It contains 25-30 percent of crude protein. Even if this plant can adapt to different soil type, well-drained soil type can still be the most preferred for this type of food plot. Aside from being the most famous food plot, soybeans are also easy to establish and maintain. If maintained properly, this food plot can be a really good attraction for deer for almost 10 months. Now that’s a really great deal for hunters and deer manager like you. 10 months of attraction and nutrition all in one type of food plot. Deer really loves soybeans, so don’t expect to plants tons of soybeans then expect it to last all winter or all summer, it might disappear in a blink of an eye. That’s how much they love it. As for its appearance, it looks very typical of clovers with three relatively, dark rounded leaves and can grow up 2 feet in height. Due to its flower, it can easily be confused with red clover which has a flower that is more pink than red, close enough with crimson clover. 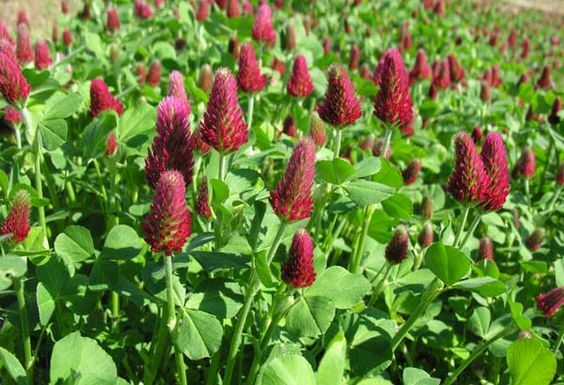 As mentioned above, crimson clover is more tolerant of poor soils but still, it is preferred to use a well-drained loamy soil for a better outcome. This clover can tolerate a soil with a pH level as low as 5.7 but it still prefers soil who has a pH from 6.0 to 6.7. Always use soil testing in order to determine if you need to use limes in order to adjust the pH level. They are by far the simplest and easiest food plot you can create. 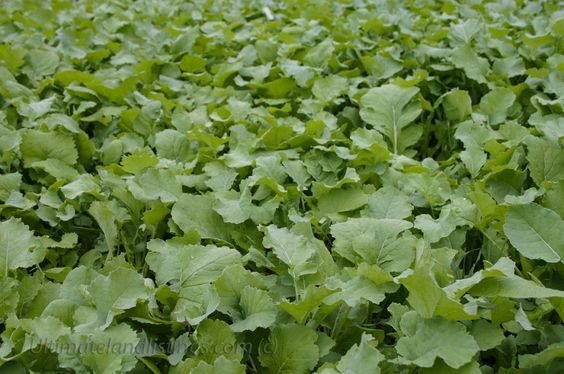 As cold weather approaches, there comes one of the most appropriate food plot for the winter for a deer, the BRASSICAS. Some food plot can’t survive the cold, but hunters still need to grow nutritious foods for deer to be attracted, that’s why there are brassicas so that even in the cold, hunters can still manage to catch some big bucks. So what really makes this sweet food plot so special? So this coming winter, better make sure to consider this one as your attraction. Go get that deer! 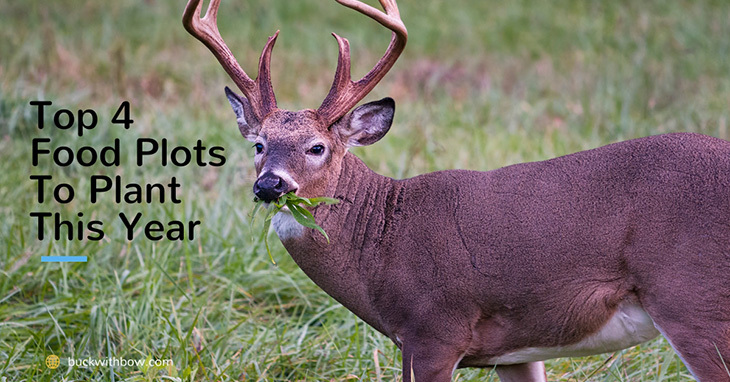 Food plots can be a really help to grow healthy deer and to catch more bucks. Choosing the right plot can be a really tough job but then again, maintaining and growing some can be a lot tougher. Give them a high-quality source of nutrition for them to grow bigger and healthier and for you to catch healthier and big bucks. So for you, what can be an ideal food plot this season? Remember, as a wise man named Willie Suchy says, “if there is a standing corn or a food plot, that’s a good place for a deer to come and feed in the afternoon, and that would be a good place to hunt.” Choose the perfect time, and choose the perfect crop! So, do you enjoy the list? This list of food crops can really do help a lot of bowhunters, like YOU, to further understand its significance and to know its basics. So, are you manly enough to do this? If you love this article or If you want to add something to our list, do share it and leave some comments. We accept both positive and negative feedbacks. Go for it! Happy Hunting! When To Plant Winter Wheat For Deer? When To Plant Turnips For Deer?